As the winter snow melts away in Markham, Ontario, it reveals the horror which has been totally hidden and forgotten about for the last 4 months: your lawn. How are you going to turn that soggy brown patchy mess into a lush green carpet which is the envy of the neighborhood? Here’s the secret. To have a really great lawn you need to build up what you can’t see, the roots of the lawn. In the Durham Region, for example, a thick root system will produce a thicker lawn and a thicker lawn will block out new weed growth and become a less inviting place for damaging insects as grubs or chinch bugs. Here’s how. Your lawn, like you, needs food and water. Fertilize your lawn with high quality fertilizers between 4 to 5 times during the growing season which should include a fall or winter fertilizer. Over seed bare spots with grass seed or use sod for a quick greening. Get your lawn mower blades sharpened as dull blades tear the grass tips which will cause your lawn to dehydrate faster. In the summer, do not cut your lawn too short as this stresses the lawn which creates the perfect environment for weeds and insects to take hold. In Stouffville, water your lawn with regular watering of 1” to 1.5” of water per week with early mornings or evenings being the best times to water. As for the weeds, try to get these pulled when they are first noticed which makes them easier to pull. For even better results, ask your lawn care company about getting your lawn aerated at least once per season and get them to provide you with an effective natural weed or insect control program. You should also inquire about the benefits of getting your soil tested. 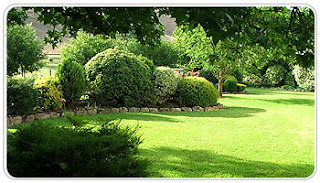 A healthy soil helps to create a healthy lawn in any city in the Greater Toronto Area.